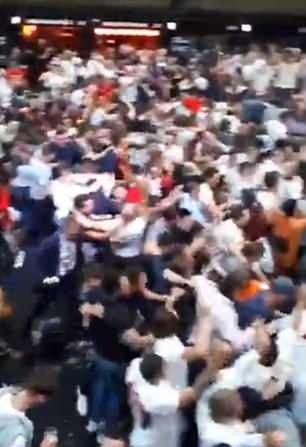 Harry Kane‘s 90th minute winner against Tunisia ignited scenes of euphoria among England fans up and down the country and beyond on Monday night. With England seemingly destined to be held to a frustrating 1-1 draw by their African counterparts, Kane converted a flick on from Harry Maguire to seal all three points for Gareth Southgate’s men. And as Kane’s back post header hit the net, limbs and pints of beer went flying in the air all the way from Volgograd to Leeds. One fan, fortunate enough to be at the Volgograd Arena and behind the goal where Kane scored, caught the passage of play on camera and the melee that duly ensued. 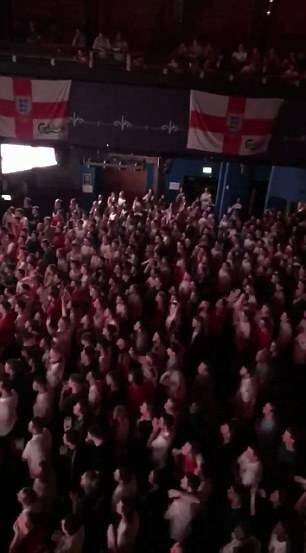 At the O2 Academy in Leeds – the city where England beat Costa Rica 2-0 in their final warm-up match for the tournament – held a screening of England’s curtain raising World Cup match. 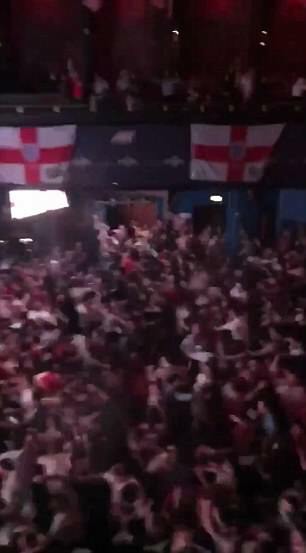 And the scenes of commotion as Kane scored his second of the night rivalled the most rowdy of gigs to have been played at the venue. 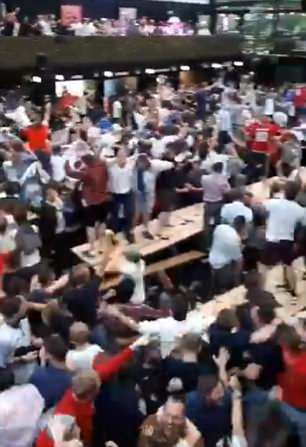 It was the same in Croydon in south London where, like in Leeds, the celebrations resembled more of a mosh-pit as Kane netted. 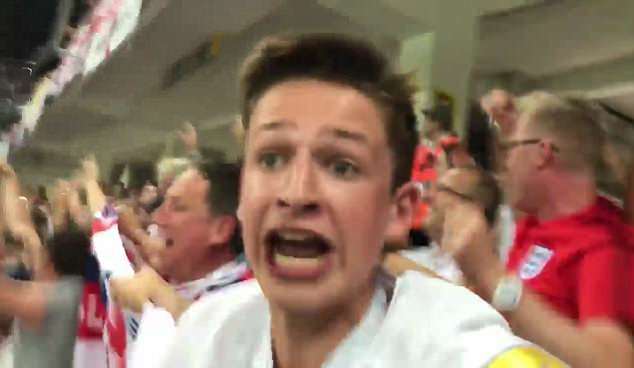 England fans were filmed throwing a lot of beer in the air and jumping on tables as Southgate’s side got off to a winning start in Russia. For so long, it looked like England would have to settle for a point. A strong start was capped by Kane’s first of the night as he reacted quickest to convert a rebound from a John Stones header at a corner after 11 minutes. But Tunisia were awarded a penalty on 31 when Kyle Walker was controversially judged to have manhandled Fakhreddine Ben Youssef. Ferjan Sassi converted the spot kick. 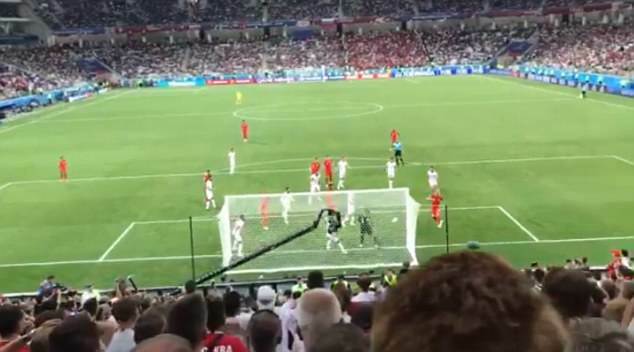 For all England’s probing in the second half, Tunisia held firm until the closing moments of the match. Southgate’s men return to action on Sunday against Panama, kicking off at 1pm.